The tightrope walk is getting trickier by the minute. As maternity leave comes to an end for Heidi Elliott, so does virtually everything else she thought she knew. The substitute filling in for her high school Spanish classes has made a complete mess-not just with her students, but perhaps in a way more personal. Her husband is developing the disconcerting habit of going out of his way to help a beautiful and wealthy client who is all kinds of perky. And now, to further complicate matters, Heidi's old boyfriend has moved back into the neighborhood. Fiercely independent, Heidi has never been one to ask for help. 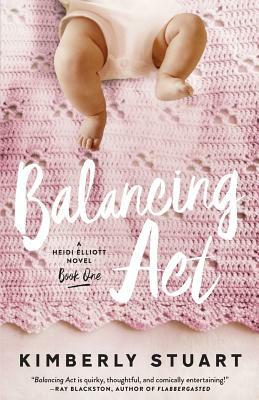 But when she discovers unexpected camaraderie with a Moms' Group, Heidi finds herself in a sea of shoulder pads, big hair, and surprisingly strong women who just might hold the lifeline she didn't think she needed.